Download the fun and electric album that has kids everywhere smarter, better faster. Ages 5-8: Reaffirm skills and have faster recall. Ages 9+ : Rejoice that kids music is no longer annoying. Select the FREE option below or spend a little more to help us reach a million homes. 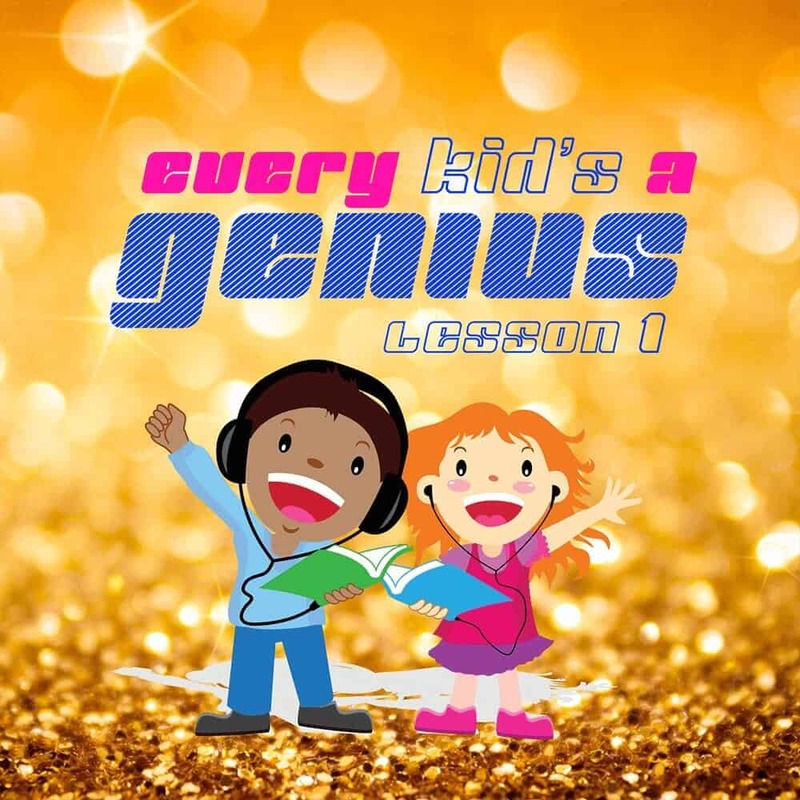 Every Kid’s A Genius: Lesson 1 is the only jammin’ album that accelerates your child’s learning. 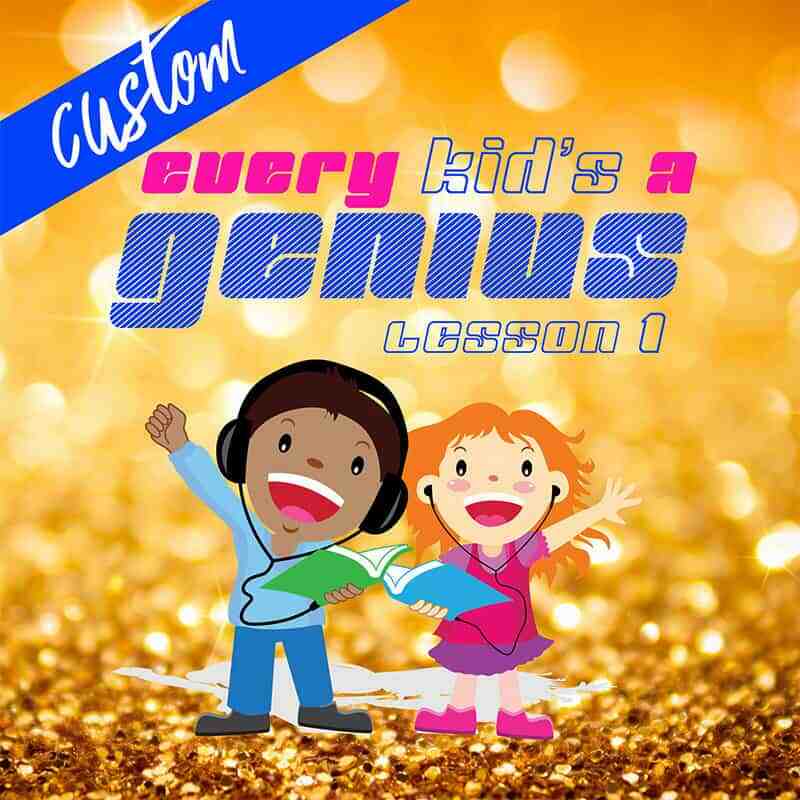 Use a full album of songs to teach your kids the alphabet, numbers, colors & more in a way they’ll never forget. Turn times in traffic into fun learning experiences. The easy learning button IS REAL. 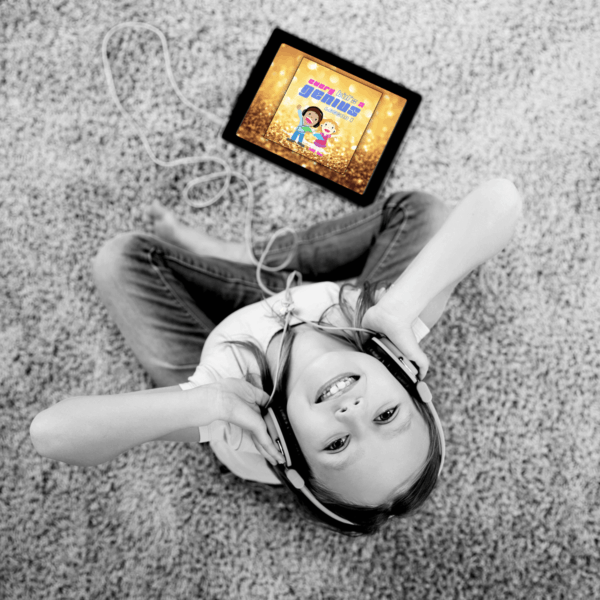 Advance your child’s learning by just pressing play. Crazy ABCs is the #1 rap ABC song teaching the English alphabet, phonetics, rhyming words, and patterns. It’s also filled with positive affirmations about learning the alphabet. Smarter 123s is the danceable counting song that teaches how to count from 1 to 20 using real-world examples of things kids will recognize. Teach Me How To Read is the contagious spelling song that teaches how to both spell and identify simple parts of the body such as hands, eyes, feet, and more. Allow your child to feel loved and extra special with personalized songs saying his or her name at the beginning. Monkey Business is the countdown song and 10 Little Monkeys Remix teaching counting backwards from 10 and promoting movement & dance. Introduce You To Some Colors is the super awesome colors song teaching colors (red, orange, yellow, green, blue, purple, pink, brown, gray, black, white), common color-related items, rhyming words, and patterns. Quarter Dime Penny Nickel is the money song that helps children identify and know the value of US coins. This is the foundation for wealth building. Silly Song is the happy dance song that promotes friendship, movement & dance, following directions, and motor skills. Absolutely fantastic, works great, kids and I love it, we play it all the time, 10/10 would purchase again. Highly recommend. I love the music and intend to use the song to help teach my son his ABCs when he is a little older. Thank you for your creativity and hard work. Very well thought of! I teach children from different countries and they learn English through singing. Thank you! My preschoolers love all of the songs and get excited to hear them. They ask for them daily. These songs have been very beneficial to the children in my care and has encouraged their love and learning and gets them moving. Two thumbs up!!! !